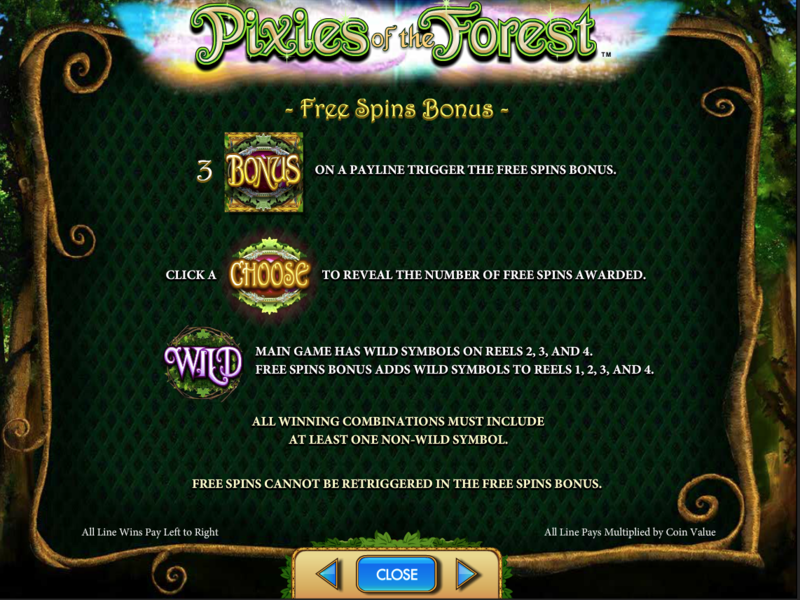 A well designed game that is fun to play if a bit busy to look at, Pixies of the Forest comes with five reels, tumblers, bonuses and wild symbols. The key selling point is 99 winlines for 33 coins, a design that lowers volatility of the game. The RTP is at an unimpressive 94.9%. This follow up or expansion of the Secrets of the Forest slot and is based around magical woodland nymphs; the gaming symbols being a combination of the pixies the game is named for and, for less obvious reasons, the letters A, Q, K for the top three card rankings in a standard deck. There is little additional plot to go with the theme, but the forest backgrounds are nicely designed and the theme of magical wish granting fairies that might do you mischief seems like a perfect metaphor for gambling in general. The animations are smooth and high end and the soundtrack of magical chimes, giggling fairies and bird song works with the theme nicely. The main problem is the busyness of the fairy icons. Most slots have this issue when it comes to more elaborate themes, but here the slightly garish and noisy parts of the screen aren’t too bothersome. All in all its rather well put together visually. The gameplay is fairly standard with several, but unimaginative features. 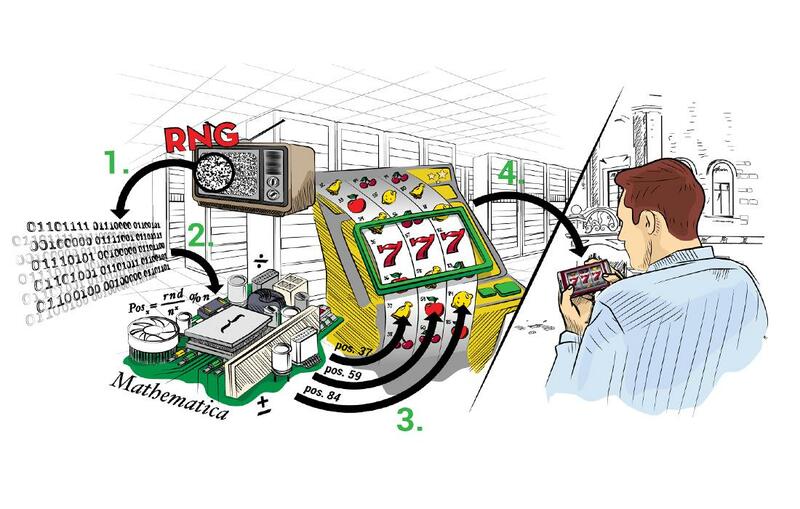 The main innovation is that there are a full 99 winlines across 5 reels, which can be played with just 33 coins. This makes for plenty of ways to win, but of course it's a gimmick, since the extra lines do little to change the winrate. 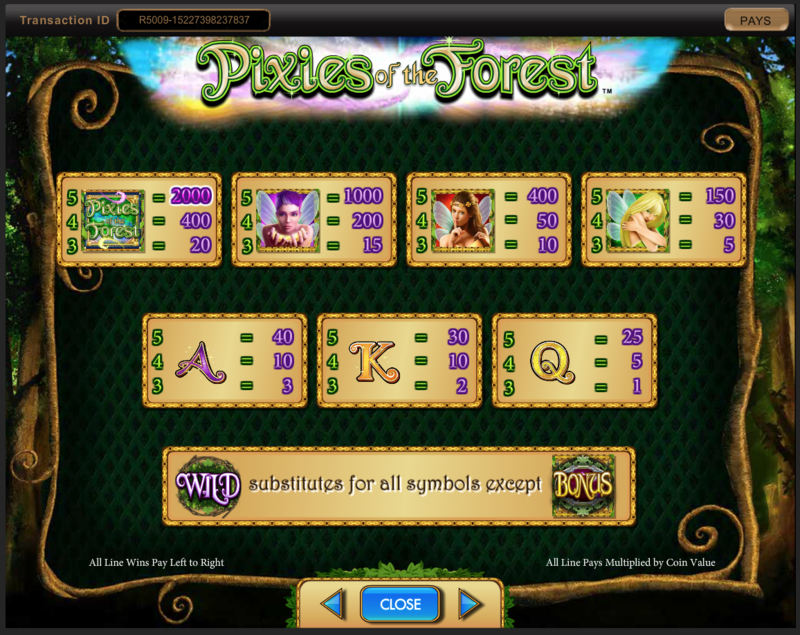 The variation in the games pacing is provided by the ability to win bonus spins, and the now universal tumbling feature. 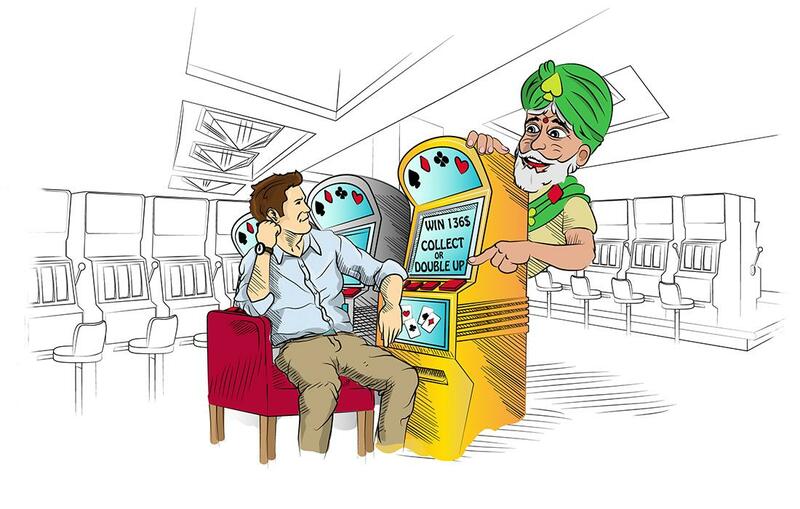 This keeps the game moving but is an average set of features for modern slots. I’d say it make for enough variation to keep one engaged, but a few innovations wouldn’t hurt. 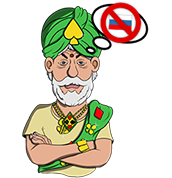 The bonus spins mentioned above can be won by by getting 3 Bonus symbols on a winline. There are Wild symbols on reels 2, 3 and 4 in the main game. Extra Wilds are then added to reels 1-4 during Bonus spins. The additional Wild symbols on a bonus reel makes for an even higher rate of wins, so hitting the Bonuses becomes the best way to make a big win. Before the bonus rounds there is a short minigame in which the player clicks on tiles to reveal additional bonus spins or multipliers. Although you get a lot of winlines for your 33 coins, the range of betting is limited (1 coin per line up to 33 coins per line), but that is countered by the range of values you can place on the coin. The website we tested allowed a variation from £0.01 up to £1.00. The number of winlines makes for a low volatility game with frequent small payouts which should keep anyone with a small bankroll in the game for a while (especially when coupled with the winline to coin ratio). However, if you do manage to hit the biggest single line jackpot of 2000x you could turn your €/£/$33.00 total bet into €/£/$2,000. That being said, your entire win would be quite a lot higher in this case, as you will hit some wins on other winlines as well. And the other hits can add up quite nicely, since this slot machine has a high number of winlines. The RTP of this game is a maximum of 94.90% which is rather low, and the low volatility makes many of the strategies we suggest on this site unplayable. Overall the game is nicely put together visually. It is also solid but unimaginative in its gameplay. Low volatility, and 99 winlines for 33 coins might appeal to those with a small gaming bankroll. But this would put off any player using the strategies we recommend.